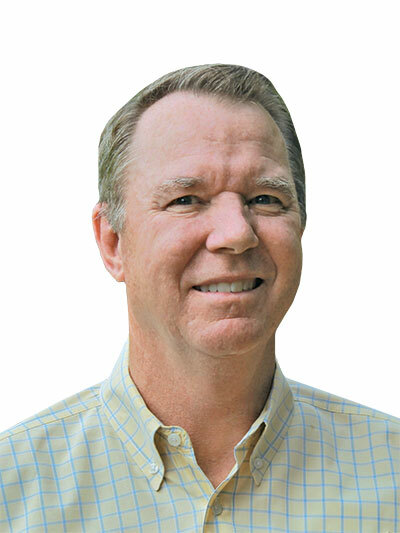 A lot has changed since Kurt Thompson entered the landscape and irrigation industry in the early 1980s. One thing that hasn’t changed is Thompson’s passion for proper irrigation and sustainable water use. A self-proclaimed “irrigation geek,” Thompson was recently named a National Association of Landscape Professionals (NALP) Trailblazer—an expert group of industry leaders nominated by their peers for making significant, long-term contributions to the industry. We talked to Thompson about the state of the irrigation industry and the part contractors need to play to keep it moving in the right direction. Q: How did you get into irrigation? A: With irrigation, it seems people are either born into the industry or, like me, they accidentally find their way into it. After playing sports in college, I thought I would stay in a sports-related field. But in 1981, I started working for a landscape and irrigation contractor in Northern California. I have since worked in landscape and irrigation wholesale distribution, in irrigation manufacturing and in water use consulting and training. Today my business has two parts. I am owner of K. Thompson Associates, an outdoor water use training, evaluation, planning and consultation company. The other focuses on professional industry development and training. A partner and I started the online training platform IrriTech Training that’s launching this spring. Q: What’s changed about the landscape irrigation field during your time in the industry? A: The cultural acceptance of irrigation grew with the boom of construction in commercial and residential settings, and the demand has gone up with the expanding economy. That manifests itself into both good and not-so-good things. There is a false perception that irrigation is really simple—that it’s just connecting pipes together and if water is coming out, it’s good enough. So as the demand for irrigation goes up, so does the opportunity for water misuse and mismanagement. The good thing is that if the professionals and the consumers are more educated, there are huge environmental and societal benefits of properly irrigated turf and landscapes. And the resource stewardship goes along with that. A: I think the education of the ultimate end user needs to continue to improve. There is a gap between what a true irrigation professional knows about the product and application and what the property owner knows about it, which means the majority of sprinkler systems don’t operate as well as they could to provide stewardship of resources. I use the analogy that most of the consumer public views an irrigation system like a concrete driveway—once it’s installed, unless it’s physically broken, there is no reason to do anything to it. It’s just there. I know there are systems that go years without ever being looked at while it continues to run. But an irrigation system is in a dynamic environment with an ever-changing landscape. There are misconceptions of the system’s components and how they work together in terms of creating healthy plants and being responsible with the resources. Besides the cost of water, there are other factors—labor, pesticides, herbicides, etc. —that are affected by water use, but there has to be an awareness and a desire to know. We are irrigation geeks, but no one else wants to talk about irrigation systems. It’s like a house’s plumbing—no one wants to talk about it until something bad happens. There is no blame. It’s a natural thing when an industry expands quickly. People jump into it and then only after a period of time do they begin to realize there is more to this. But education and publicity are how we change it. For example, the NALP has embraced water management as integral to the landscape. The NALP carries a big hammer, so this is a good thing. Its outreach program to the end user has been a good start. Q: What does it mean to you to be a Trailblazer and what do you hope to accomplish? A: First of all, I’m extraordinarily honored. When you look at the people in the program, it’s an elite group of folks to be affiliated with. What I hope to do is help get away from irrigation being considered the Rodney Dangerfield of the green industry where we don’t get any respect. Irrigation is a science-based profession, and I think that both attracts and repels people. I’m hoping to get more people interested in the professional aspects of it. I take great umbrage when people demean the profession and boil it down to, ‘How hard is it to screw on a sprinkler?’ To say there’s more to it than that doesn’t even do it justice. I want to promote irrigation as a viable career path—like all landscape is. This is a great career for anyone who wants to make a good, honest living, which is the real desired result. I want to promote the industry as a career path and bring awareness to irrigation based on sound, proven physics and science. Q: From a water-saving standpoint, what one piece of advice would you give landscape irrigation professionals? A: When it comes to efficient use of water, knowledge is power. Don’t fool yourself into thinking you don’t need to be thoroughly and continually trained on the science of irrigation. There are basic principles of physics involved with irrigation and you can’t fight them. Q: From a business standpoint, what advice would you give? affects the profitability of the business. Because this industry has low barriers to entry, you have people without business acumen. They start making money and they think they don’t need the education. But just because water is coming out and you are getting a check, it doesn’t mean you are doing either thing very well. I think this is true of any trade that’s easy to enter. Contractors have to understand enough about accounting principles—as well as installation or repair—to properly run their businesses.